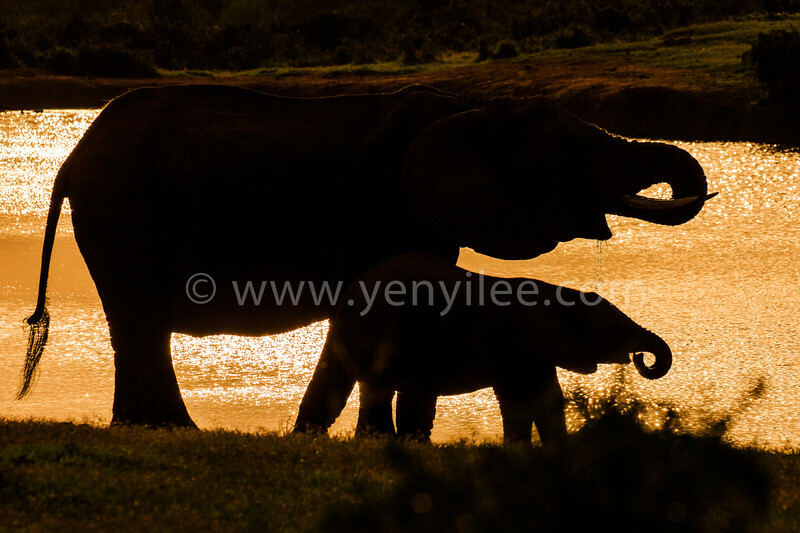 An African elephant mother and her calf were walking along a pond at sunset. The surface of the pond reflected the golden sunlight and form the beautiful silhouette. Despite a ban on the international trade in ivory, African elephants are still being poached in large numbers. Their ivory tusks are the most sought after, but their meat and skin are also traded. Tens of thousands of elephants are killed every year for their tusks. There has been an upsurge in poaching in recent years, which has led to steep declines in elephant numbers.